The sale price of the historic Dickinson Mansion on North Main Street in Essex has just been reduced to $2,790,000. Photo by J. Wilson. ESSEX — Close to the very heart of downtown Essex, the imposing Dickinson mansion is now being offered for sale with a substantial reduction from its original asking price. 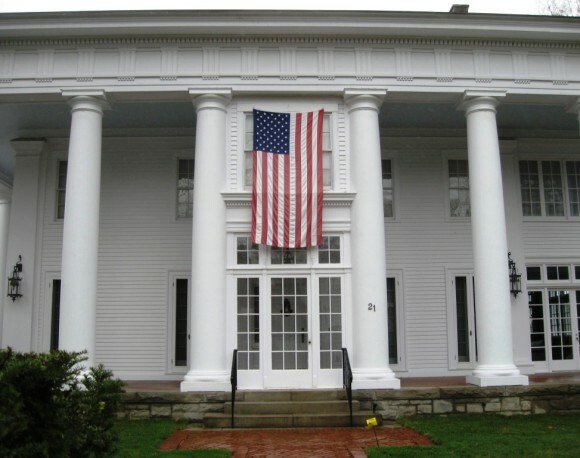 The historic mansion is located close to the town center of Essex and its street address is 21 North Main Street. Originally built in 1841 by a local merchant, the landmark property is also closely connected to the family that created and produced Dickinson Witch Hazel. Edward E. Dickinson bought the mansion property in 1888 and the mansion stayed in the Dickinson family until 1971. The 20-room mansion, which today has 10 fireplaces and many artisan-crafted details, has been re-created in the Greek revival style and sits on a 0.62 acre site. The expansive mansion has 20 rooms, four bedrooms, four bathrooms and two entertainment rooms. 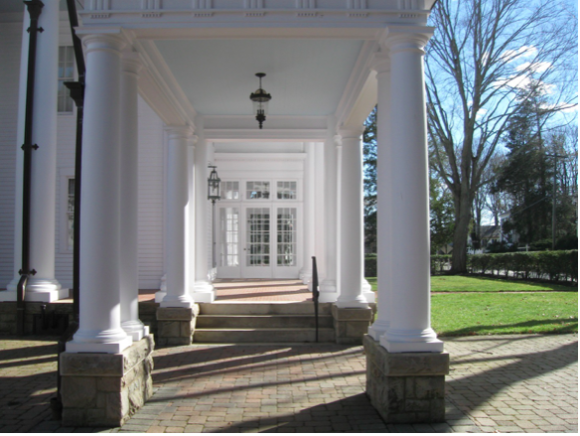 The Dickinson Mansion has an attractive side entrance with distinctive columns. Among recent improvements at the Dickinson Mansion are the installation of high velocity air conditioning and a “commercial grade” generator. Now the hope is for a sensitive buyer to purchase this unique Essex property.